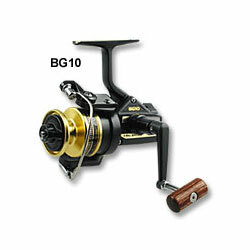 "i have a bg 10. i use it for bass fishing. it reels in the bass easily. it is built like a tank and it is very heavy duety . great drag, smooth retrieve ,great reel . it would be hard to find a reel better than a daiwa black gold."